Let's begin to sew scrunchies! 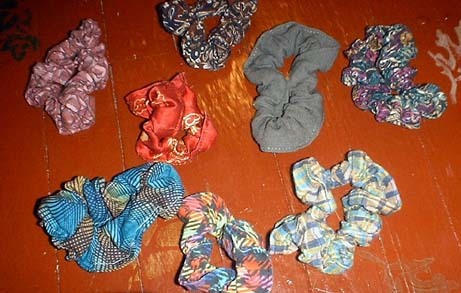 Scrunchies are a quick and easy projects and girls just love them. 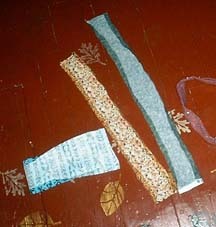 The supplies you will need are a piece of fabric 4" x 20", one 9" piece of 1/4" elastic, and matching thread. Fold over and press (to the wrong side) 1/4" on both long sides of the fabric. This gives you a folding guideline to sew the sides together. 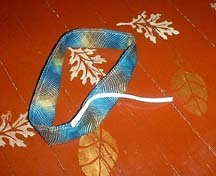 Then putting the short ends together (opening the fold back out) sew a 1/4 seam to make a loop. 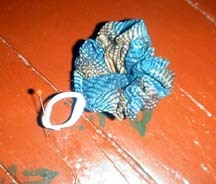 Fold the scrunchie in half, wrong sides together matching folded edges and pin. Sew around the pinned edge leaving 1/2" open for inserting the elastic. Insert the elastic through the opening in the scrunchie. Pin the ends together and sew together. 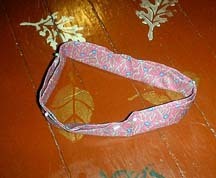 Pull the elastic to the inside of the scrunchie and sew the opening closed.